"overlaid geographies" can help people gain a more concrete sense of scale on a global or local level. but it looks like ye olde buzzfeed beat me to the punch with this article. oh well. regardless, below are a few not-so-amazing examples, visually speaking, but the point is still pretty well made. united states as compared to russia. 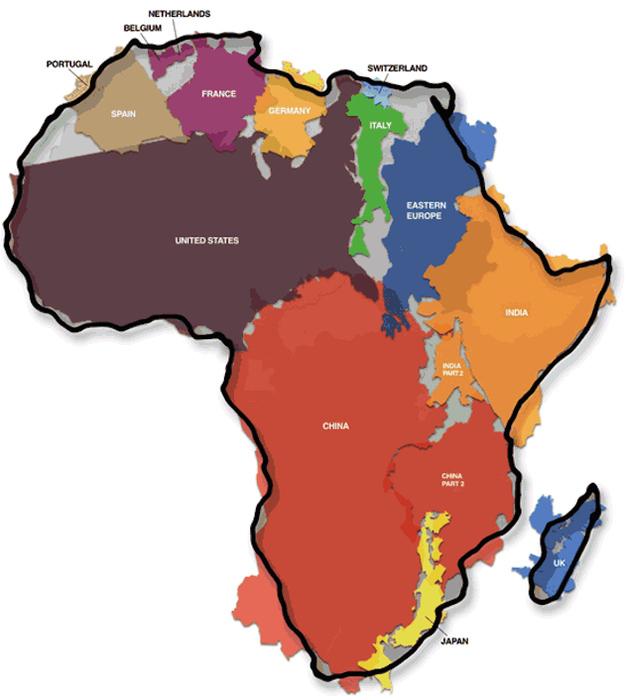 africa compared to much of the world.